Brandon, MB (CKLQ) - The Brandon Area Community Foundation has made one of its major grants for the year. 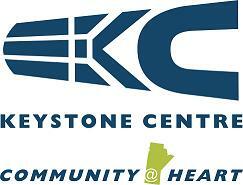 The Foundation has awarded the Keystone Centre 45 thousand dollars. It's for the purchase and installation of specialized motors to retract the bleachers in the Kinsmen and Enns Brothers Arenas. The Foundation had previously provided funds for the purchase of the bleachers in 2016. Keystone Centre General Manager Jeff Schumacher says grant will extend the life of the original purchase, and aid the facility to quick turnarounds between events in the building.